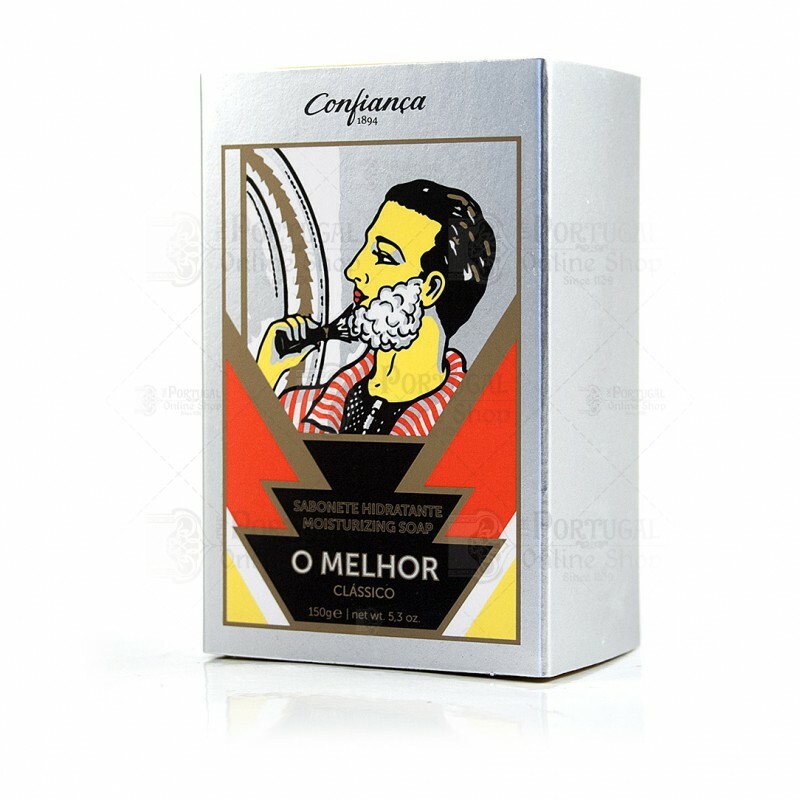 100% Gentlemen made! 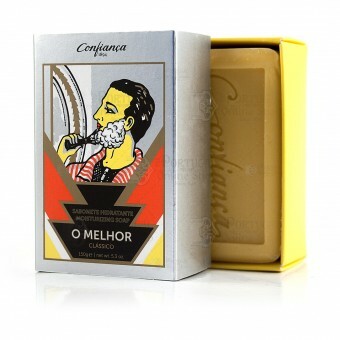 "O Melhor" Moisturizing soap is part of the top quality product line for mens shaving and skin care, including the shaving cream and aftershave. 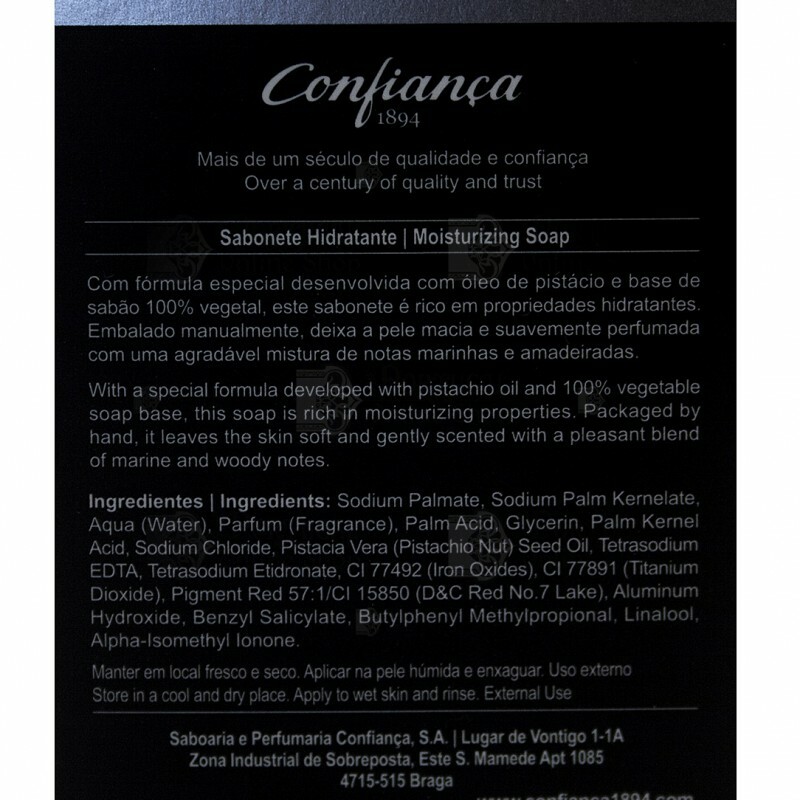 With a special formula developed with pistachio oil and 100% vegetable soap base, this soap is rich in moisturizing properties. 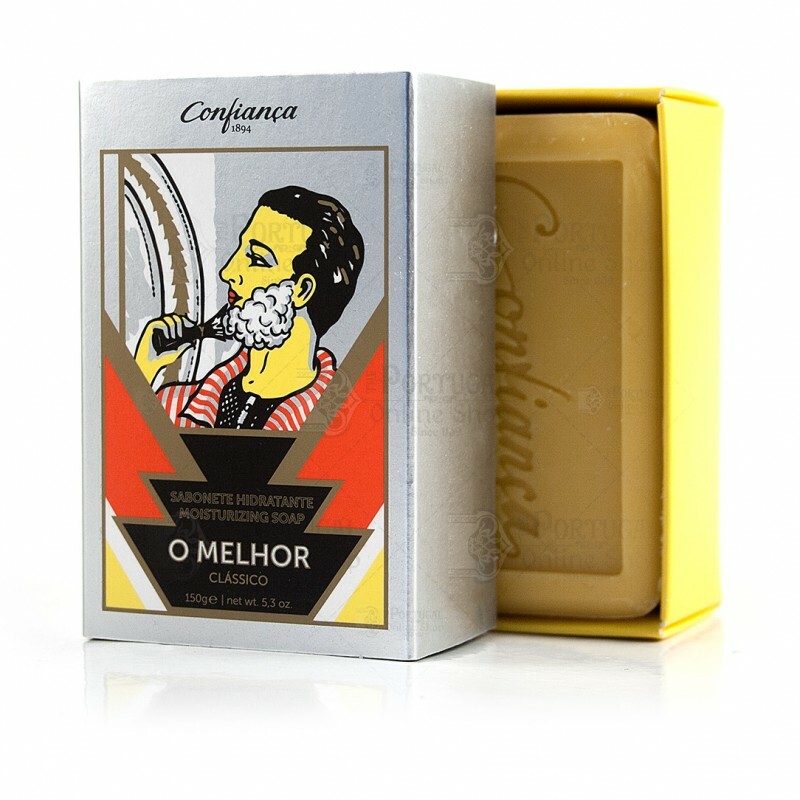 Packaged by hand, it leaves the skin soft and gently scented with a pleasant blend of marine and woody notes. 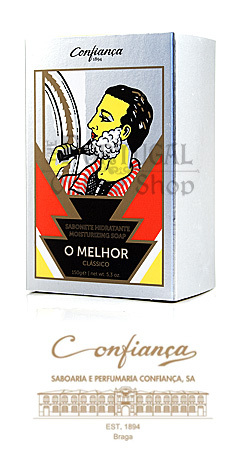 It's retro vintage package is the result of a great restyling from the original logo dating from the 20's.